One of my favourite genres in films and books is science fiction, so you can understand why I am very excited to live in the age where geek is the new cool. It seems like every other blockbuster coming out in cinemas today has some kind of relation to science fiction. The latest major movie release Ready Player One just came into cinemas worldwide. The film, based on the eponymous book, describes a not-so-distant dystopian future where people try to escape reality by entering a virtual one called the OASIS. I cannot wait to see the film, and to temper with my excitement I decided to take a look at a few examples in Sci-Fi’s history where fiction became reality. The first example is also the oldest one of the bunch, dating from the 19th century. In 1865, Jules Verne published his famous novel From the Earth to the Moon. In it, three Americans are sent into space and travel to the moon. He described how a “projectile” was able to carry humans into space and all the way to the moon safely. 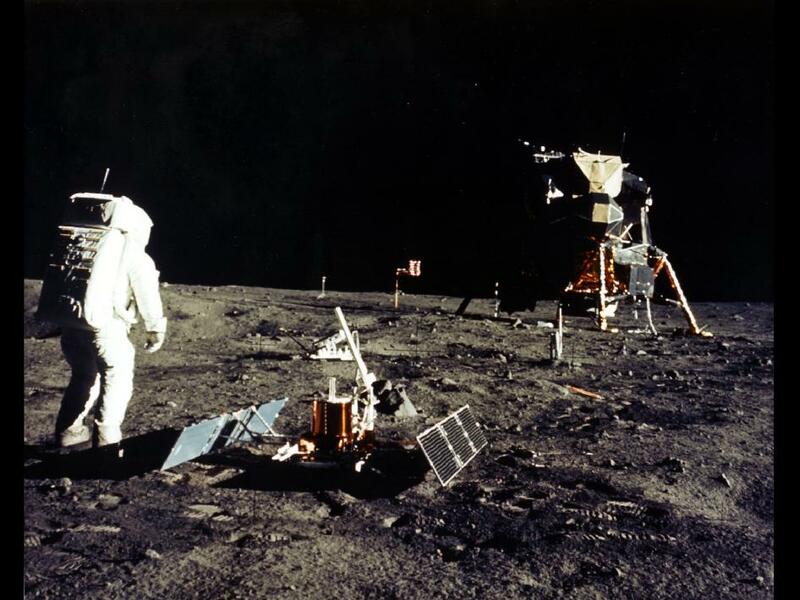 It took about a century for this fiction to turn into reality as in 1969, America successfully conducted the Apollo 11 mission in which three men landed on the moon. Wouldn’t it be great if everybody understood each other at any time? Star Trek’s universal translator does just that! This device is able to translate spoken language directly into another one. This functionality can also be found in Doctor Who’s TARDIS, and it proves a very efficient way for people to communicate who wouldn’t normally be able to understand each other. A technology that presumably works even for ancient languages or alien ones. Right now, applications such as Google Home offer similar functionalities when you ask it to translate something. Building on that, I think it’s safe to say that in the future we will be able to communicate with anyone around the world speaking our own language. Imagine what that means for video recruitment: One day, Japanese speakers will be able to interview for a position in Finland without relying on someone in the recruitment team to speak Japanese. Back to Ready Player One, the OASIS is a virtual world where people go to escape their own reality. Virtual reality goggles have been present in science fiction for a long time. In Robert Zemeckis’ classic film Back to the Future II, Marty McFly’s family is sitting at the dinner table while wearing their virtual reality devices. In today’s world, we are seeing more and more applications of augmented reality and virtual reality. While Google tried to implement mixed reality devices with the Glass project, Facebook, Microsoft, and Samsung are among the many companies that are developing virtual reality headsets. These can be used for different purposes, such as meetings, gaming, training, and more. If the OASIS exists as a mean of escapism from a dystopian world, current outlook on VR-Techs are more positive. For example, some researches have shown that the use of VR experiences could help treat patients with phobias! Think of trainings for healthcare professionals and engineers, interactive museums, and really cool new storytelling possibilities. The Verge has collected all use of videophones in science fiction in one article. Turns out, they’ve been used in science fiction for nearly a century and featured in films such as 2001: A Space Odyssey, Star Trek II, and Blade Runner. Once again, it is interesting to point out that those movies are from an age where asynchronous telecommunications were only accessible by landlines. Back then, seeing your interlocutor in live seemed far-fetched! Nowadays of course, video is omnipresent. From Instagram or Snapchat stories, video calling your friends to more serious business (such as conducting video interviews 😉 ), a future with tools like ‘videophone’ now almost seem old-fashioned. Of course, before mastering the art of holographic interviews, we at Cammio, focus on video to bring recruitment to the 21st century. Our platform uses the latest technologies in development and cloud computing to make high definition video broadcasting between companies and candidates a formidable experience. Refined custom-branded interface, ultra-low latency and advanced ATS integration capability are our ways to help recruiters perfect their hiring process. If there is something to learn from this, it is that sometimes, we may need to look back to advance further. What do you think is the next big idea from science fiction we will see in the future?